Cedefop will host the 33rd ICT Advisory Committee Meeting of the EU Agencies (ICTAC), in Thessaloniki on Thursday 16 and Friday 17 of May 2019. The mission of ICTAC is to promote inter-agency cooperation on issues of common interest in the area of Information and Communication Technologies, through knowledge and experience sharing and exchange of good practice. 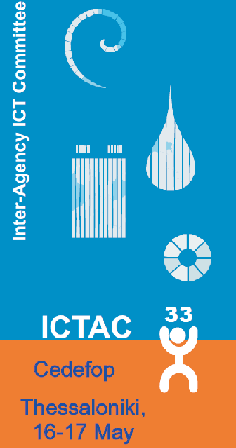 ICTAC operates under the auspices of the EU Agencies Network. ICTAC meetings are forums of intense exchange and rich interaction. They have gained enormous traction among the wider ICT community of the EU Institutions and bodies and are highly regarded. Plase note that participation is by invitation only.